This day fluid with sea algae extract, green tea and vitamin E normalizes the skin and offers intensive protection. 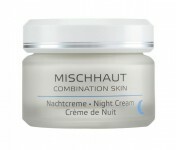 The moisturizing micro-emulsion binds with the skin, thus offering a silky, matte complexion. Ideal as a base for makeup.